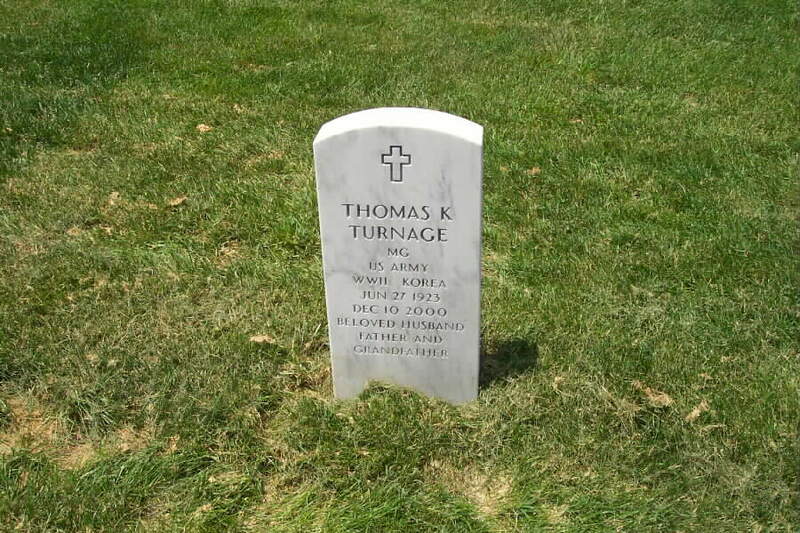 Thomas K. Turnage, the last administrator of the Veterans Administration before the Veterans Administration became a Cabinet Department, died Sunday (December 2000) at his home in Rancho Mirage, California. Turnage filled the VA's top post from 1986 to 1989 and played a major role in preparing the agency to become a Cabinet Department in 1989. At the time, it was the largest independent agency in the federal government, with more than 240,000 employees and an annual budget of more than $25 billion. "Throughout his life, General Turnage devoted much of his considerable energy to the care of men and women he was given the responsibility to lead," said Acting Secretary of Veterans Affairs Hershel Gober. "He will be remembered as a brave soldier, an innovative manager, and a great friend to our nation's veterans and their families. He will be missed." 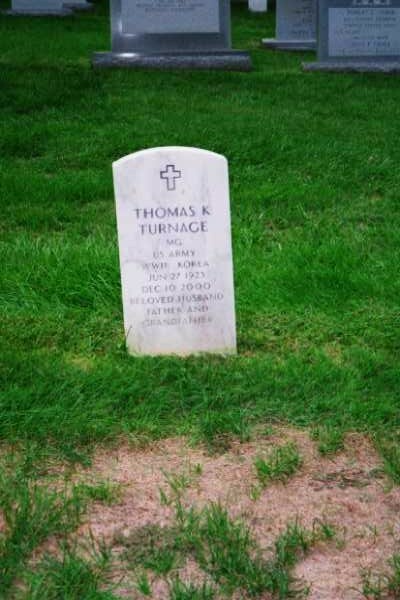 A native of Texas, Turnage spent 39 years in the Army, including combat service during World War II and the Korean War. He retired in 1982 as a Major General. Before his appointment as VA administrator -- as the top job at the veterans agency was then called -- Turnage served as the director of Selective Service and as an executive in a blue-ribbon manpower planning task force under Defense Secretary Casper Weinberger. "General Turnage spent nearly his entire adult life in the service of his country. After his retirement from the Army, he continued to serve the government with distinction," said Gober. "He not only guided the Veterans Administration to a cabinet level department, he did it with compassion and personal regard for its special beneficiary population." A graduate of the University of California at Los Angeles, and The George Washington University in Washington, D.C., Turnage was awarded the Distinguished Service Medal and Bronze Star, among many decorations. He is survived by his widow, the former "B.J." Smith of Pasadena, California, and two children. A memorial service will be held in Rancho Mirage, California, followed by burial at Arlington National Cemetery. Details about the memorial service and the burial have not been announced. The family requests that expressions of sympathy take the form of contributions to the National Guard Educational Foundation, One Massachusetts Ave., N.W., Washington, D.C., 20001.